New Build - Home Renovations - Gardens - Garages & Sheds. Form work ready to concert. The only thing I do not like is that the builder has put in polystyrene blocks. NO way I've heard of people jacking up their car and the jack going through the slab. I've rang the builder left message, waiting for him to call back. 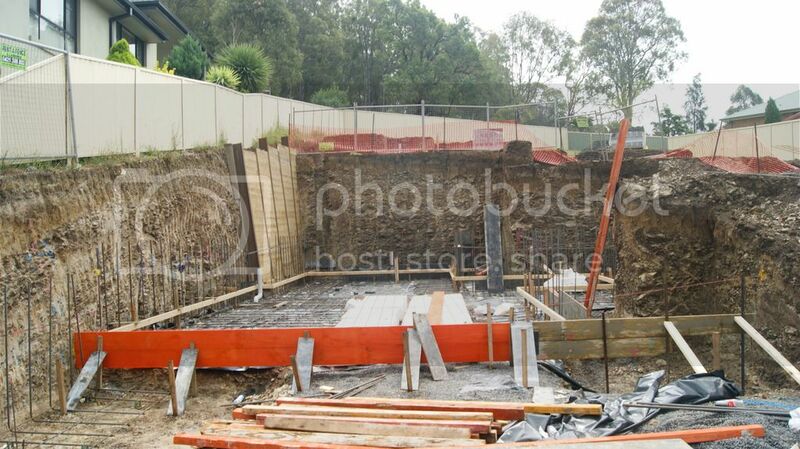 Otherwise looks like it is progressing well mate, quite a bit of earth works involved in this build by the looks of it? Is the whole block a slope? Actually doesnt look that steep in the last photo. Split level design? Far out! Had no idea foam blocks went in and got covered up...jeez. What thickness is the concrete over the top of those usually? Yeah lots of earth works. So far just over 600t has come out. The block slops upwards a lot right at the front the then a slight upwards slop to the back fence. Yes house is Split level with garage only on the ground floor. Yes Steve they go inside the steel and concert over the top, not a fan dont like the idea. The thickness of my garage slab is 400 but im not sure how much goes on top of the polystyrene blocks. As normal the builder never returned my call. How's your going Steve? Frame up yet? EDIT - I also got an email from them yesterday with variation to some work. 1 it was a copy and paste from a different job. Address was wrong and the date is 4 months ago, WTF!! 2 Half of the variations are included in our contract and are inclusion. 3 Cost for 9 soft close doors to kitchen $1000, OMFG!! really highway robbery. You can buy them from hardware store for like $20 a pair. 4 Black Mortar colour $215. 5 Garage door because not standard colour went for Deco wood $1500. 6 Front door upgrade Jamb from timber to Aluminum $740 - never asked for it to be changed. I have a meeting with builder wife tomorrow about the variation. 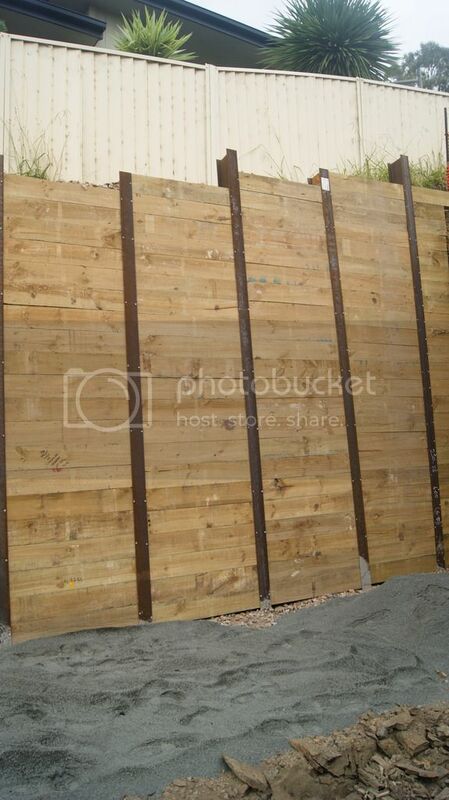 Timber not concrete sleepers? Is thers plastic backing behind them to stop all the mud/dirt washing through. 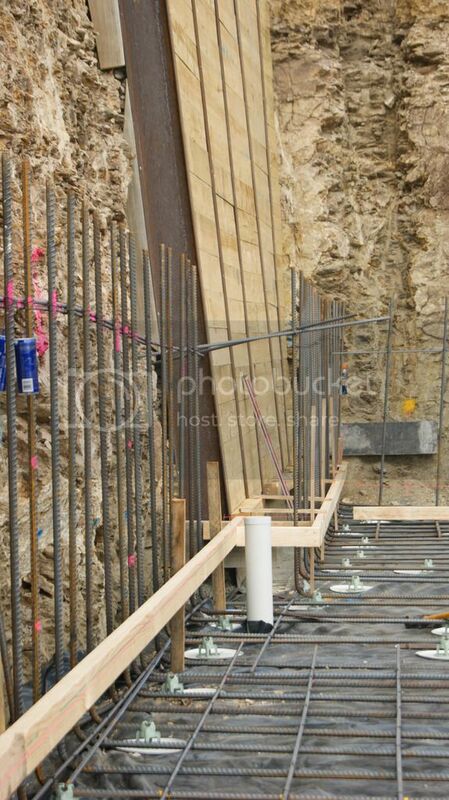 The rib raft floor should be strong as f*ck, all those gaps between the foam blocks become concrete beams . As long as you have a thick enough slab on top you will be fine- our local harvey norman was built that way , including the store area where the forklift moves pallet stock around. The Styrofoam blocks are just to hold the reo up. Grab your engineering plan. 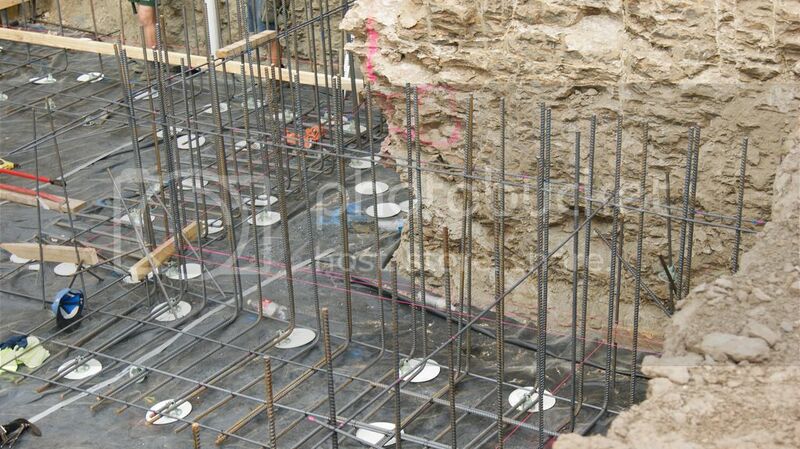 If it specifies the slab rep as 50-100mm BF it means that you have plenty of concrete on top of the Styrofoam. The other option is you have tiny little plastic cones that hold the reo up. Which guess what? 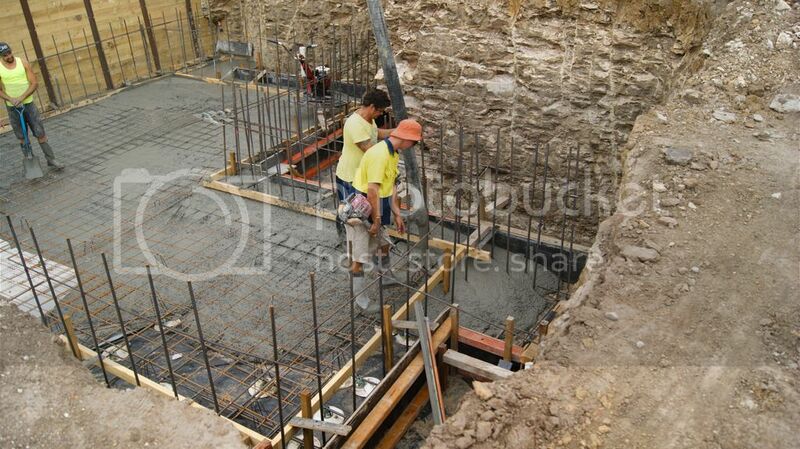 They also create voids in the finished bottom face of the slab. If the slab is 400mm thick Styrofoam is the least of your worries. I'd be more concerned about how they planned to deal with cracking and curing the slab. Thanks for the feed back guys. I just didnt like the idea of having polystyrene blocks because in my old house we had solid slab. I guess if its done right we should have no issues. I never got a return phone call back from the builder which is no surprise. Ill ring again in the morning to discuss plus I have a meeting with his wife tomorrow at 930am. @panda in the contract it says we have 75 pies. ATM I have not seen 1 yet in the garage and by the looks of it might be to late because of the steel and plastic already down. Again Ill be asking builder. Cost for 9 soft close doors to kitchen $1000, OMFG!! really highway robbery. You can buy them from hardware store for like $20 a pair. I got quoted $900 for 7 drawers which I though was reasonable as the draws need to be remade to fit the new runners. Oops sorry it was meant to say draws not doors. I have 9 draws in the inland bench but still over priced. The kitchen mob also quoted me around $700 for 5 lights that go under the overhead cupboards. Answered that quick........NO! Ill see my electrician to run LED strip. Anyway today was very interesting. After a morning meeting with builder wife about variation to some work which we now this means more $$$ I got the price down from $4500 to $3300 they tried but I read everything and some of the variation was in the contract as inclusion, nice try........LOL.The bush fire zone went from BAL-12.5 to BAL19 on the east,west and north elevation and BAL-12.5 on the front (east) so the whole house is now fire protected. The day got better when I took the kids up today and by luck the engineer was there inspecting the steel work. We had a good chat. polystyrene, steel to the top of the concert is 100mm. Normally 85mm. See pic below of location of Polystyrene. Now back to my very interesting chat with the engineer he told me that the wall collapse all that work to fix it I do not have to pay for it as he said that they had excavated to far which caused the collapse. Payment for slab/garage is due soon guess we'll find out. Thanks for your advice guys appreciate it. Oops sorry it was meant to say draws not doors. I have 9 draws in the inland bench but still over priced. I ended up buying something like this and did it myself. that's the plan now I'll wait till we move in then look at replacing them. Theres a mob in Wetherill Park that sell them, good quality ones. Can't think of there name but I drive past there in the mornings, I'll report back with their contact. They come in different lengths. Have reports from the in laws that bricks are up and windows are in too. Wanted to be the first to see it with the missus but seems they went to check up on our behalf. Good news anyway! Will have a look tomorrow. we took the soft-close option, one of the best kitchen decisions made, I LOVE them. 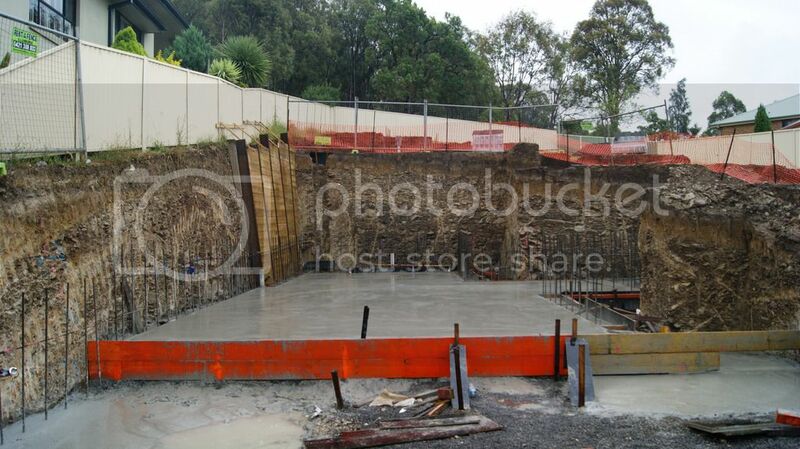 One happy campers on Monday when the concrete went in for the footings and the garage slab. Well that was short lived when I received the invoice late last night from the builder for the great wall for the sum of 18k. Holly sh1t I was off my rocker and ready to explode and needs to be paid withing 7 days. MERRY "FARKING" CHRISTMAS. Little did they know that I had spoken with the our engineer last Thursday and he said the same thing that I should not have to pay for it. 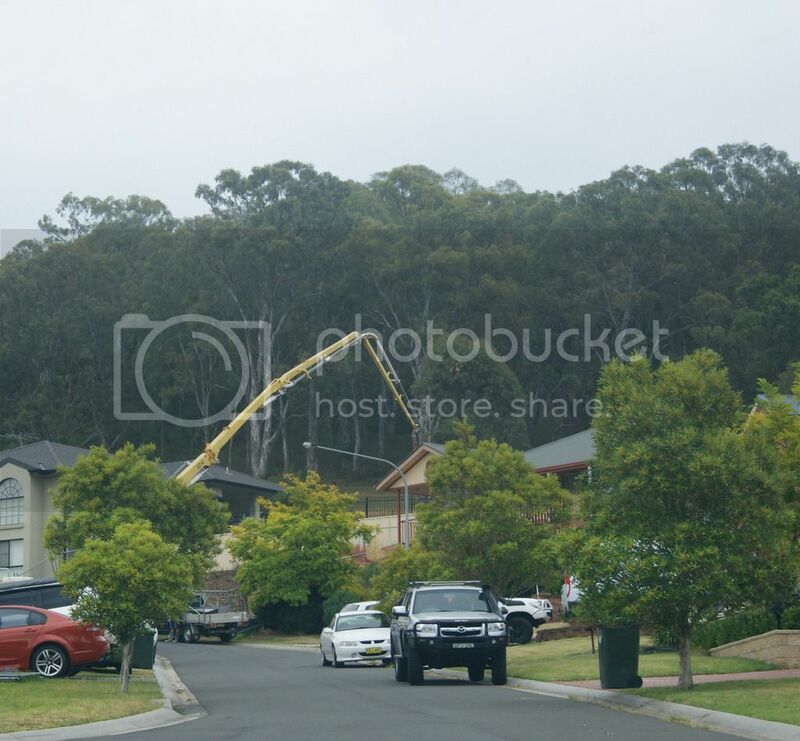 With emails to and from and the builder using big words and throwing in quotes from the contract, "like under clause 2 it says" so this morning I did the same "under clause 14 of the contract and quoted what our engineer stated that the excavation company over excavated and what the workcover person said. Now there additude has changed and now they said they look into. Not what any person needs right before christmas, bloody wankers. Im not to worried about it because I think they know and are only trying to bush it to see what we do. It may or might have work with other clients but not us. When you have your engineer telling you also that it's not our problem it says a lot then. 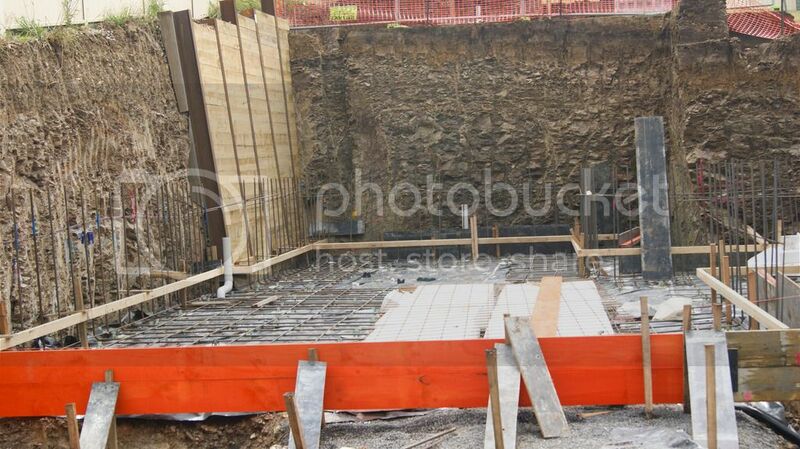 I dont think that the builder should have to pay either it wasnt their problem just a bad excavation company. Hi Cjafpv glade you jumped in. We've had a lot of issues trying to find a Air Con mob to give us quotes. They're all keen and when we send the plans we dont here from them again. We even ring them back to follow up and nothing. Where is home mate. Im in wollongong. We're after ducted throughout. any help would be great.